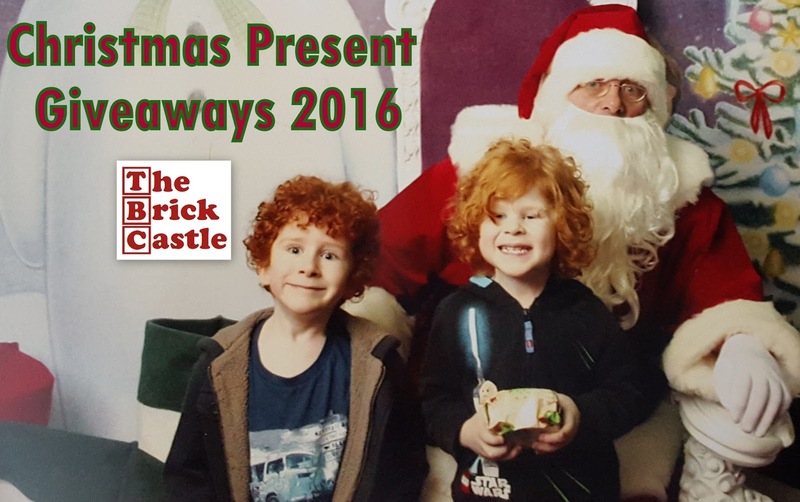 The Brick Castle: Roald Dahl's The BFG Movie - Free Printable and Amazing Bundle Giveaway (2 Winners). 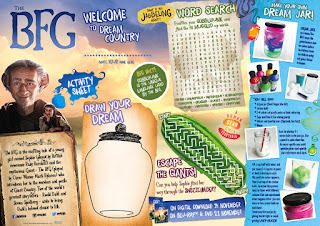 Roald Dahl's The BFG Movie - Free Printable and Amazing Bundle Giveaway (2 Winners). The BFG is an absolute classic. One of Roald Dahl's most treasured books, the tale of a little girl named Sophie and her giant friend has been brought to life with a mix of animation and live action, and it is available for you to own on DVD and Blu-ray on 21st November. A lovely tale, this movie edition has beautiful CGI animation which really compliments the live action. Starring Mark Rylance, Ruby Barnhill and Penelope Wilton, the acting is great, and the characters incredibly likeable. My family all loved this, it would be hard not to. The story is familiar to most parents and children, and although the giants are a bit scary, it's only a little bit, and good does indeed triumph (as long as you aren't a giant that is!). 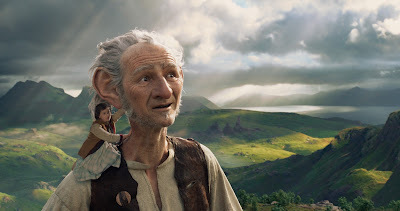 The BFG has a runtime of 117 minutes (just under 2 hours) and is rated PG because of the mildly scary bits. It is available now for pre-order and to buy on DVD (£9.99) and Blu-ray (£15) from 21st November at all good DVD stockists, including Amazon. 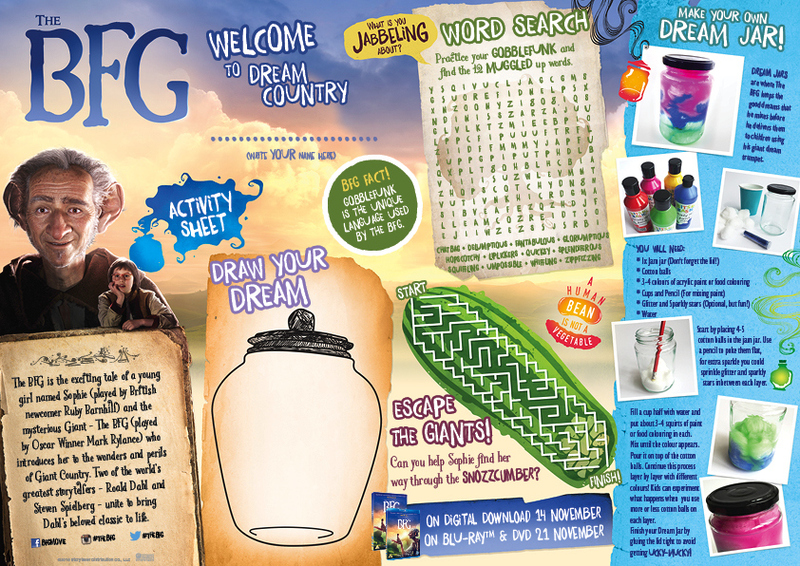 For Roald Dahl fans as there is a really nice printable The BFG activity sheet which I've uploaded for my readers, and I have a great Christmas Present giveaway!! To celebrate the release of The BFG, which is available now on Digital Download, and on Blu-Ray™ and DVD 21st November, we are giving 2 lucky winners the chance to win a bundle of The BFG film merchandise and a copy of the film on DVD. 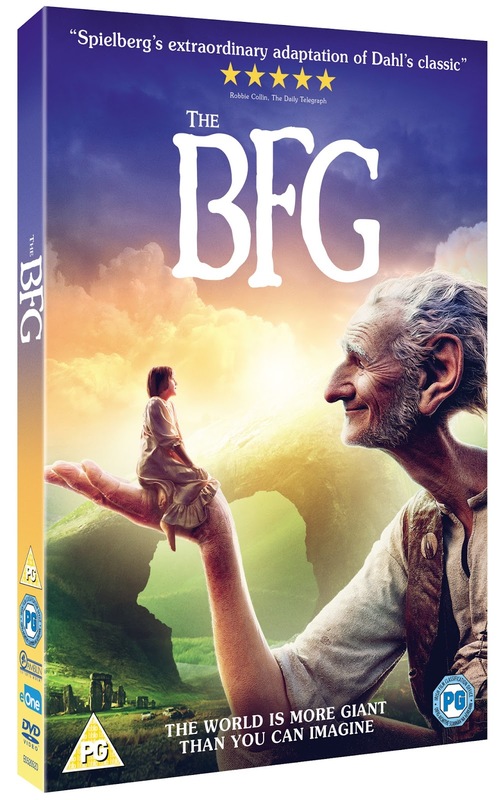 The package includes The BFG gift bag, film posters, a giant pencil, a The BFG themed notebook, magnets, a copy of The BFG on DVD, The BFG branded T-shirt and a giant The BFG plush head band with BFG ears – the perfect bundle for any lover of Roald Dahl’s classic children’s novel – The BFG! THE BFG is available now on Digital Download, and on Blu-Ray™ and DVD 21st November. Entry to the UK only giveaway is by Gleam form below and will close at midnight Sunday December 11th. For help with Gleam or to enter my other Christmas Present Giveaways please go to my Giveaways Page. For full terms and conditions see the bottom of the Gleam form. The BFG Amazing Bundle Giveaway (2 Winners). We received the DVD for review. Boring family get-together.Can we go now ? How about - bashful, fabulous Gorilla. An alternative could be the Burping, Farting, Gnat? Battered Fried Gherkins (they're kind of like snozzcumbers, right?!). Beautiful Fantastic Grandparents! This was my 5 year old daughter's offering!